I suppose I’m a glutton for punishment, but I’ve entered this year’s Call of Chaos over at the Bolter & Chainsword. This will be the third CoC I’ve entered, with my previous two ending in failures. Third time’s the charm, right? This time, though, I’ve taken on a much smaller vow; two HQ units: a Chaos Lord and a Chaos Sorcerer. So basically, two small models. Yes they are more detailed than other line troops for Chaos, but that should mean I’ll get them done within the time frame of the challenge. 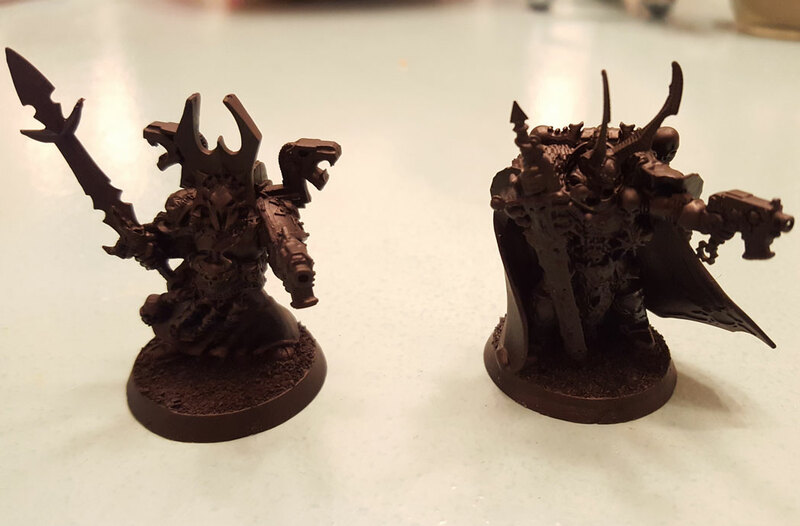 The Chaos Lord model is from the Dark Vengeance set. I modified him slightly by giving him a bolt pistol. The other is one of the older metal Sorcerer models. I really wish Games Workshop would come out with a multiple option, plastic, power armor Sorcerer kit. I’d think such a kit would sell well, especially given the number of formations in which Chaos Space Marines players can include a Sorcerer. But I digress. 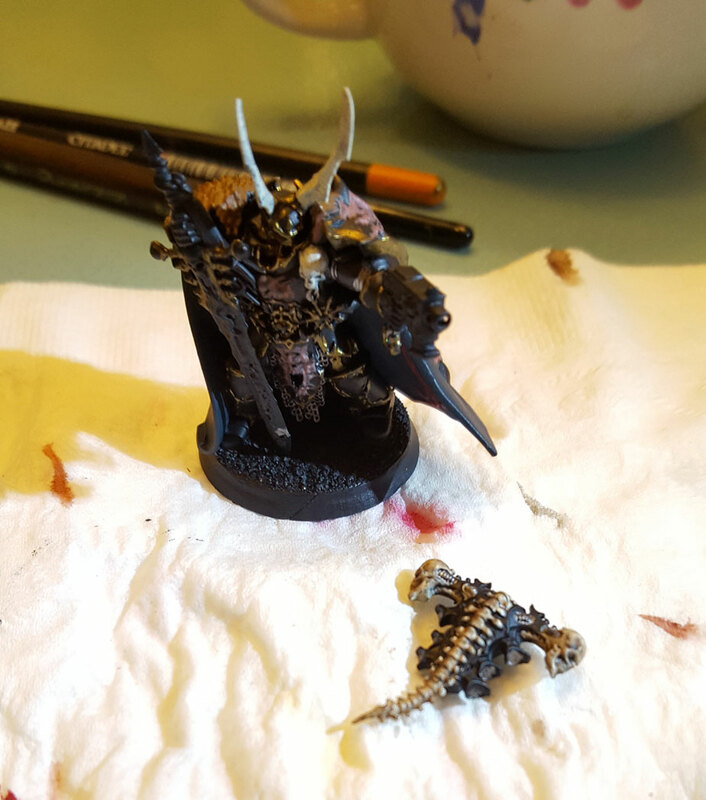 I have actually made some headway on the Chaos Lord. Of course, these guys will be part of my Black Legion force. I’ve gotten a few basic parts of the model painted. I’ve focused on the cape and fur, as well as the backpack. I’ve decided I’m going to concentrate on these models one at a time, given they are single units unto themselves. But with the way it’s going so far, I think I might actually complete this vow. Fingers crossed! You’ll also notice that both these models have bigger bases. Both are sporting the base adapters, so they are at the new 32mm standard. I think the larger base actually helps the overall look of these models as they have a little more dynamism to their poses that other single models.